Damen Interceptors are rugged workboats, not upgraded and grey painted pleasure boats! 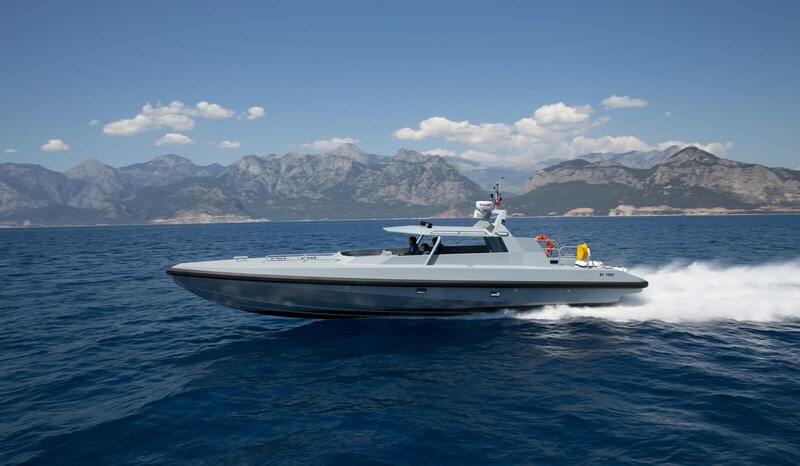 Speeds up to 55+ knots are achieved through the combination of raw power, low weight and efficient hull form. The dependable hard-chined, non-stepped hull design guarantees predictable and safe operations at high speed.